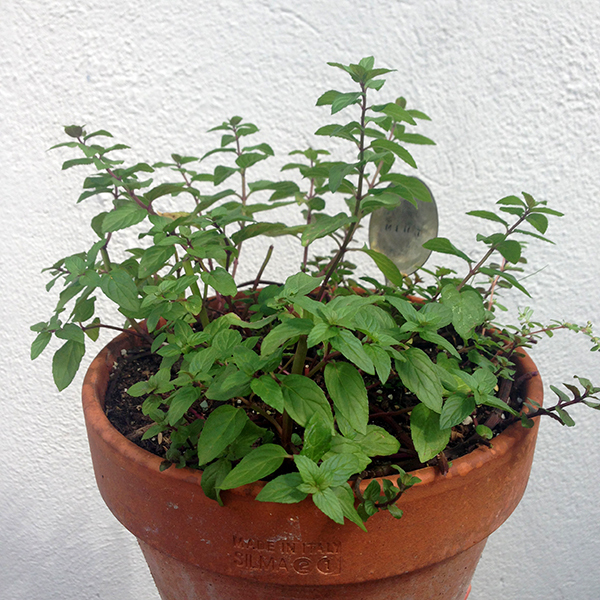 Every spring I plant a collection of herbs in pots on our patio. We use fresh clippings for cooking all summer and then I dry the rest for the winter. I have to say they also look nice in front of our house. Typically we buy seedlings at the garden store. This year I tried something different and started all the herbs from seeds. I planted dill, sage, basil, rosemary and parsley. It takes a lot longer starting from seeds! 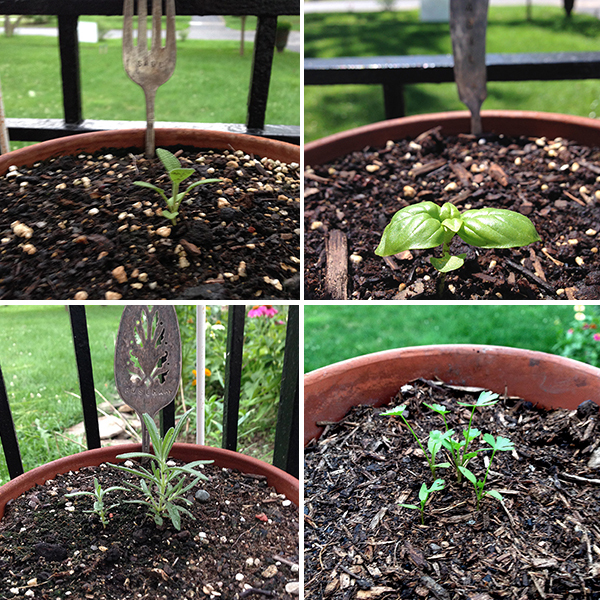 Some of the herbs took two to three weeks to start to peep through the dirt. 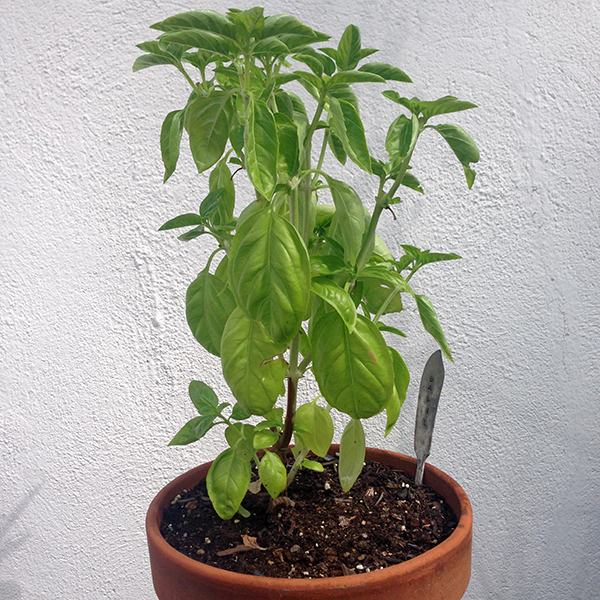 A few more days, a lot of watering and daily inspection paid off with nice, big herb plants. I'm a bit of hoverer when it comes to gardening. "Is it up yet? Is it blooming yet? Is it ripe yet?" I learned about pinching to help the plants grow large and full. Or POINCHING as Aaron likes to say. 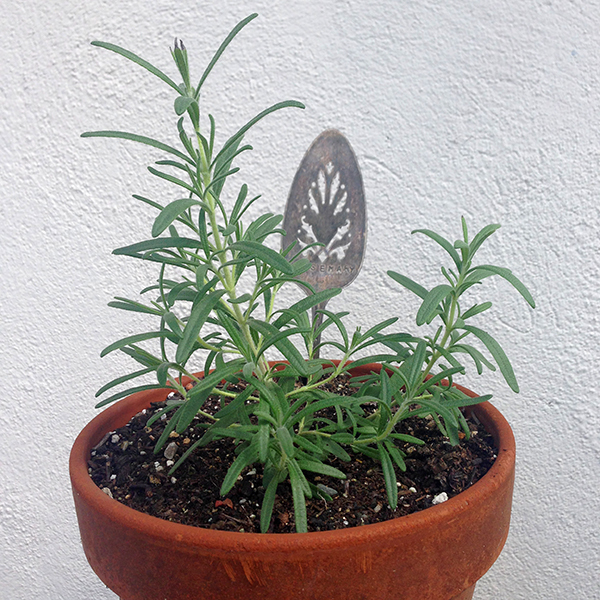 I need this sage plant to get a little bigger. 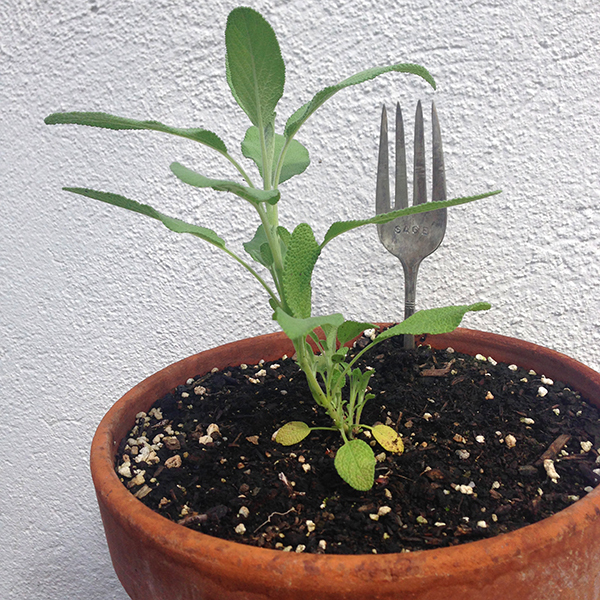 I like to have sage for brown butter sage sauce for over pasta. Nom nom. 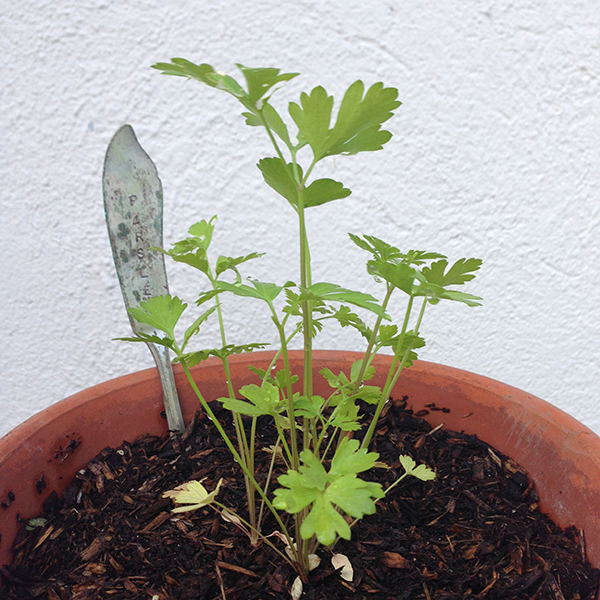 This is my first year growing parsley. It's mostly going to lie next to food and make it look pretty. The only herb I didn't plant was the mint... I had that left over from last year. Do you know how hard it is to find Peppermint intead of Spearmint? 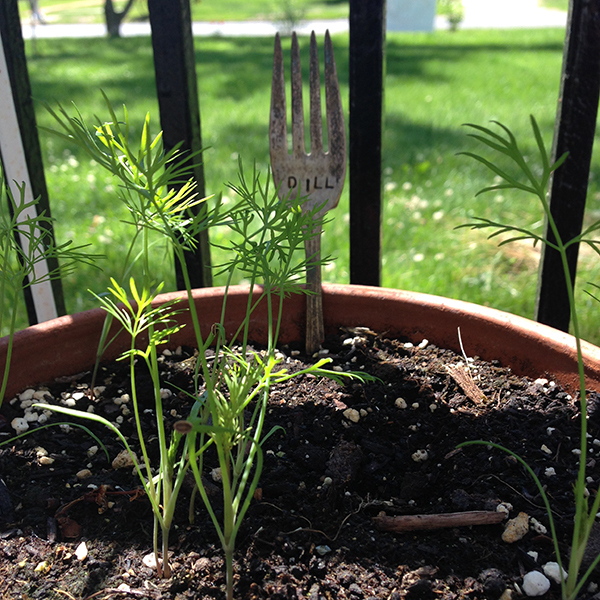 The dill grew like crazy! AND it is growing all around the house in spots where seeds must have fallen last year. 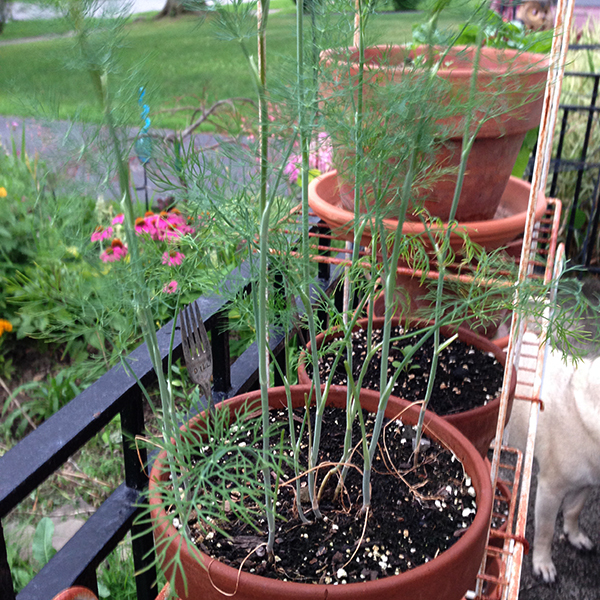 Plenty of dill for swiss, mushroom and dill omelets and crepes - my favorite.